Hi. 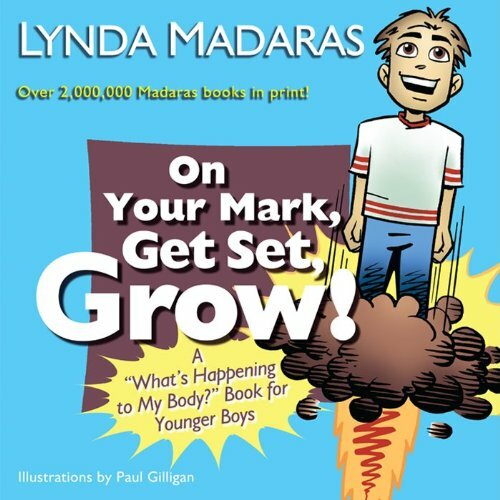 My name is Lynda Madaras. I write books about growing up. I get tons of letters from boys. They tell me just what they're thinking. They ask questions. Many of the things they say are here in this book. Many of their questions are here, too, along with my answers. So boys like you helped to write this book. 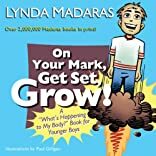 Illustrated with fresh and funny cartoons, On Your Mark, Get Set, Grow! is the seventh book in the popular "What's Happening to My Body?" series of growing-up books for boys and girls. Praised by parents, teachers, nurses, doctors, and especially kids, the bestselling "What's Happening to My Body?" books for older boys and girls are on the "Best Books for Young Adults" list from the American Library Association and have been translated into 12 languages. Over 2 million copies of the "What's Happening to My Body?" series are in print. About Paul Gilligan (Illustrator) : Paul Gilligan is a published illustrator of children's books. A published credit of Paul Gilligan is Kid's Guide to E-mail.